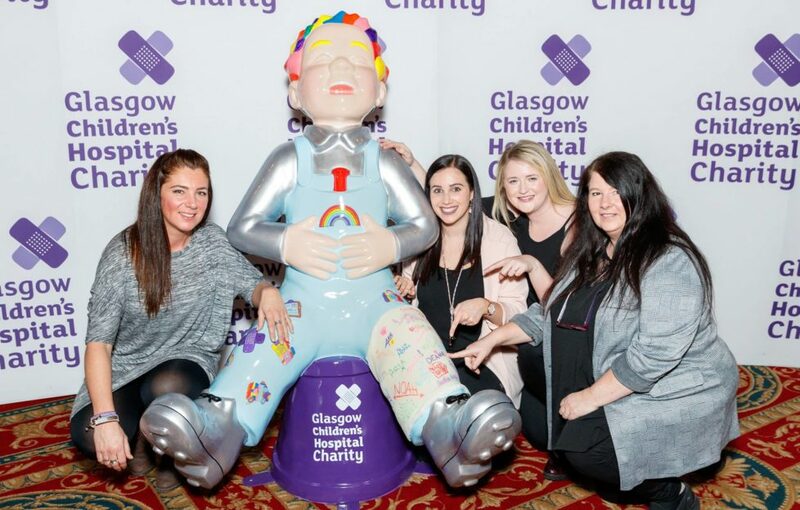 Oor ‘Hospital Hero’ Wullie made lots of new friends at the Glasgow launch of Oor Wullie’s BIG Bucket Trail last night – including neurosurgeon Mr Roddy O’Kane! The funds raised by Oor Wullie’s BIG Bucket Trail will help hospital heroes like Roddy, who care for children treated in Scotland’s children’s hospitals. Our host Jennifer Reoch was joined by young ambassador for Glasgow Children’s Hospital Charity Jenny Cook, the St Aloysius’ College Junior Girls Choir, Headline Sponsor Arnold Clark and Discovery Sponsor Scottish Citylink, who explained why some of the country’s biggest businesses are proud to be involved with the first ever national art trail. Thank you to all of our guests for joining us!